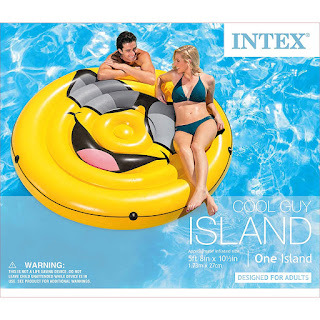 Head over to Amazon where you can score this Intex Cool Guy Island Float for just $11.87 (Retail $21.99)! This inflatable pool float measures 68″ x 10.5″ (that's OVER 5-feet!) and has a grab rope circling it making it easy to hang on to. Make sure to clip the $5 off coupon.